Amazon Seller Services Pvt. 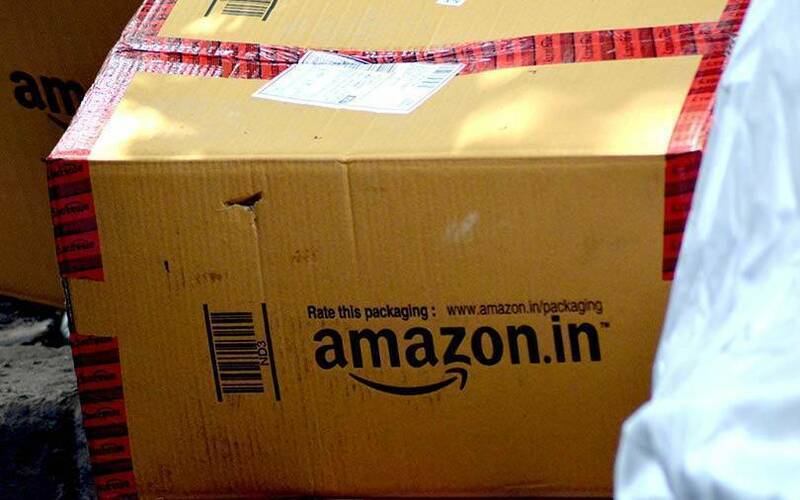 Ltd, the Indian division of US-based e-tailer Amazon, has received fresh capital worth Rs 2,200 crore ($311.32 million at current exchanges) from its parent firm, filings with the Registrar of Companies show. Amazon Corporate Holdings, the Singapore-based company of Amazon, and Mauritius-based Amazon.com.Inc invested in its subsidiary on 11 November 2018, the filings stated. The latest capital infusion values Amazon Seller Services Pvt. Ltd at Rs 2,788.92 crore ($395 million at current exchange rates), TechCircle estimates show. This is the fourth such investment that Amazon has made this year. It has injected total capital worth Rs 9,450 crore into India in 2018. Prior to the current capital infusion, Amazon India received Rs 2,700 crore in August, Rs 2,600 crore in May and Rs 1,950 crore in January. According to a report in The Economic Times, with the current funding round, Amazon's India business has received total funding worth Rs 27,290 crore of the promised $5 billion that Jeff Bezos had committed in 2016, the report added. For Amazon, India is one of the last frontiers for growth in emerging economies across the globe after having lost to local players in China, a highly consumer-centric market that is seen as protectionist and unfriendly to outsiders. After Walmart bought Flipkart in May this year, Amazon now faces a more formidable and equally deep-pocketed rival in India. Entering the Indian market in 2013, Amazon quickly raced past its other rivals of the time to grab the number two position. By various estimates, Flipkart is still believed to be the market leader in the e-commerce space by a slender margin. Amazon, however, has often countered these claims. Since 2013, Amazon has set up multiple subsidiaries for payments, logistics, wholesale, food retail and online grocery as a way to expand its India operations. Amazon has also spread its footprint in the country through multiple subsidiaries across segments such as fintech, bus aggregation and offline retail, in order to build a larger ecosystem that complements its core e-commerce operations. Recently, media reports suggested that Amazon.com Inc. is negotiating an agreement to buy a 9.5% stake in Future Retail, owned by Kishore Biyani-led Future Group. In the long term, this would allow Amazon to buy out Biyani from Future Retail Ltd, reports have stated. Its ambitious entry into India has not come without a cost but Amazon is ready to splurge to capture the dominant slice of the highly lucrative Indian e-commerce pie. On Tuesday, Amazon's vice-president for consumer business in North America, Doug Herrington, who was in India, reiterated Bezos’ mantra of facing as many new failures in the country while also learning and innovating from it. For the financial year 2017-18, Amazon Seller Services registered deeper losses despite its revenue growing at a brisk pace. The company’s standalone net loss widened to Rs 6,287.2 crore for 2017-18, up from Rs 4,830.6 crore the year before. That translates to around $970 million based on foreign exchange rates at the end of March 2018. Revenue from operations grew 58% to Rs 4,928.4 crore from Rs 3,128.7 crore in the year prior.